Pemmadiyanda Jayanthi Mahesh loves adventure and the outdoors. Her interests include rock climbing, trekking, and rifle shooting, all of which have helped earn her a ‘C’ (advanced) Certificate in the National Cadet Corps. 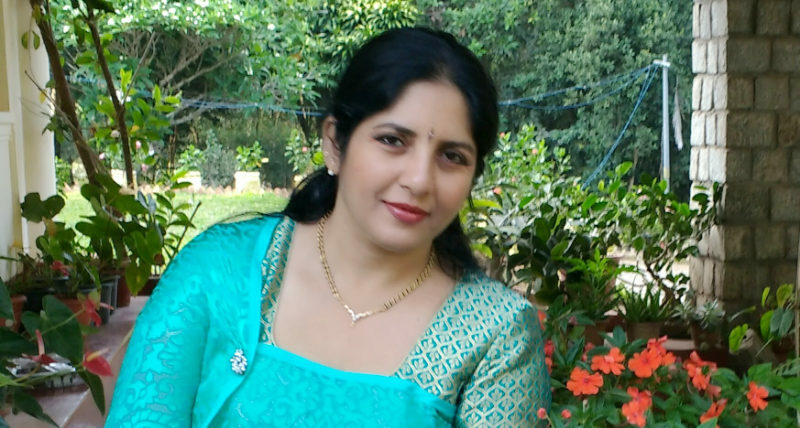 Jayanthi also loves to cook, and particularly enjoys the uniqueness of Coorg dishes. She shares a recipe for Karjikai. Special equipment: Karjikai moulds. These moulds are readily available in the market. Put the flour and semolina in a wide bowl. Heat the ghee and pour it over. Add a little milk and water and mix well. Knead it well to form a stiff dough. Allow the dough to sit for 20 – 30 minutes, covered with a wet cloth. Put the sugar/jaggery in a bowl. Add grated coconut and crushed cardamom, followed by the fried sesame seeds and poppy seeds. Optionally, you can add dry fruits like raisins, crushed and fried cashews, and almonds along with sweet khova. Mix them well and make small 2 balls. Now take pieces of the dough and make balls of the same size. Roll the balls out flat and spread it on the karjikai mould. Place the filling in the middle and close the mould. Remove the extra dough from the sides. 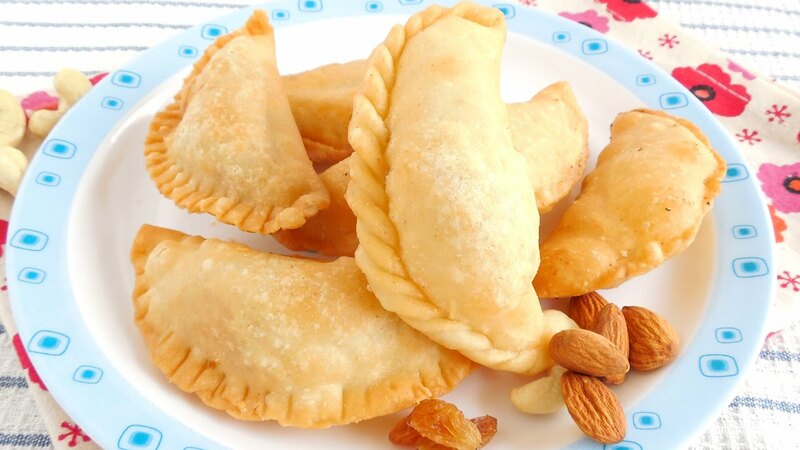 In the same way prepare, karjikai with the remaining dough and filling and line them up on a tray. Place a kadhai on the stove and heat enough oil to immerse the karjikai when frying. Add three to four spoons of ghee to the oil for aroma. When the oil is hot, add the karjikai one by one into the oil. Fry till golden brown and crispy. Karjikai is ready to relish!